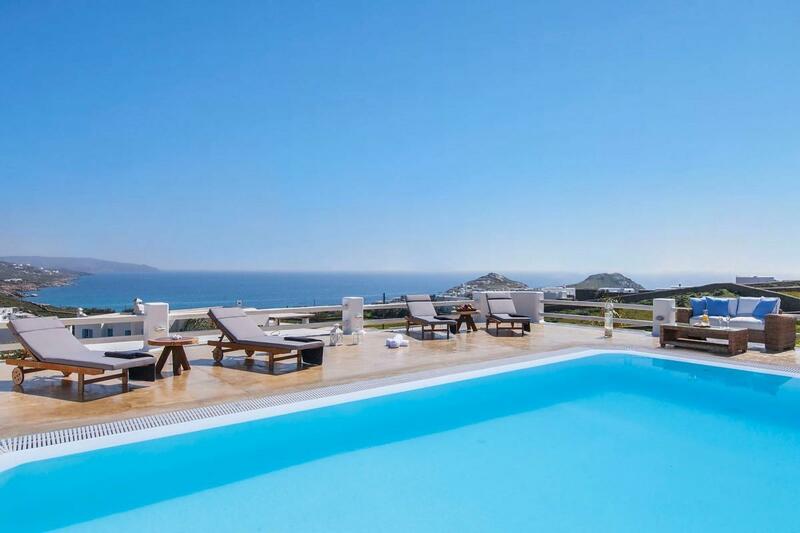 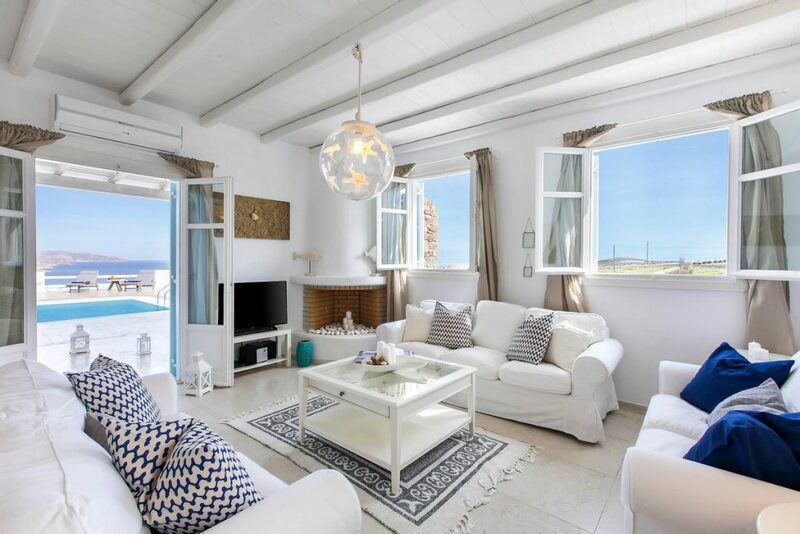 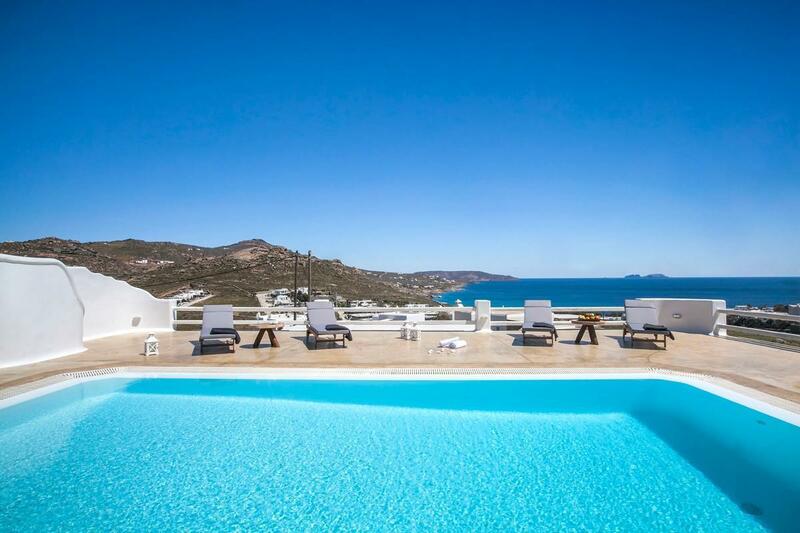 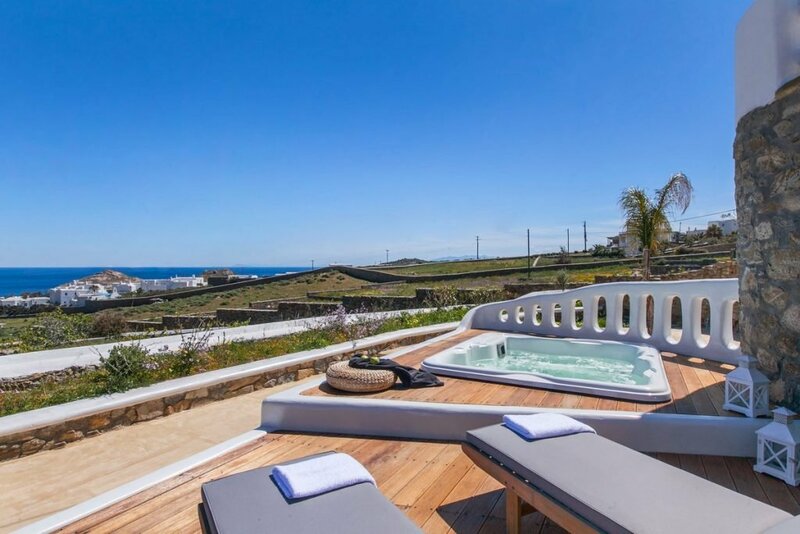 Stella villa mykonos panoramic view is a two-tiered, 5-bedroom villa with gorgeous architecture and luxurious amenities, such as Jacuzzi and swimming pool complete with Aegean Sea views. Kalafatis & Agia Anna beach is just 2 min drive. 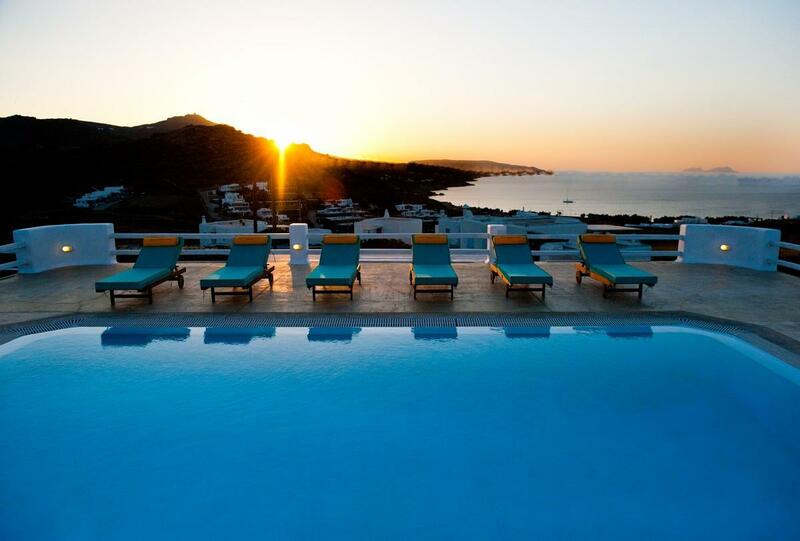 A large beach with clear waters, plenty of sunbeds and a variety of water-sport and sailing choices. 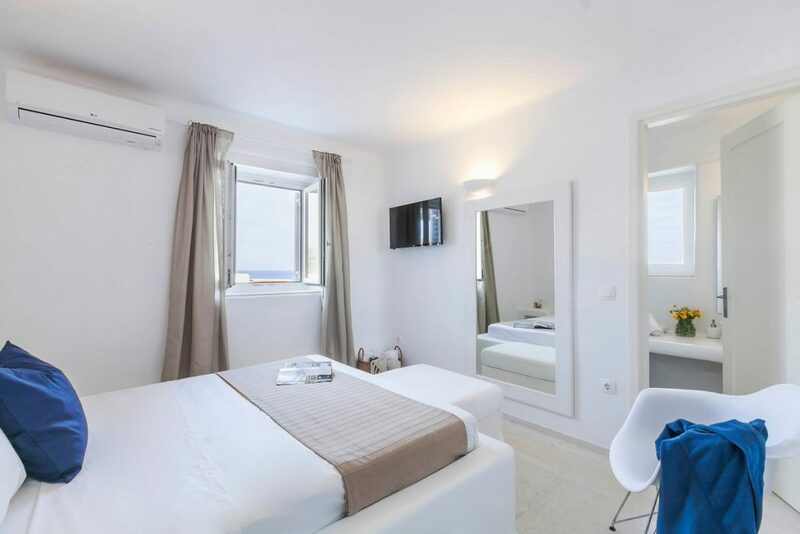 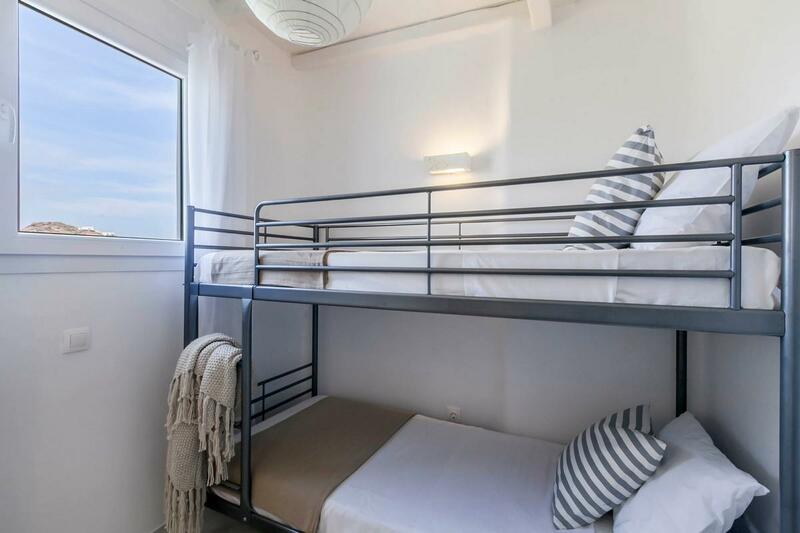 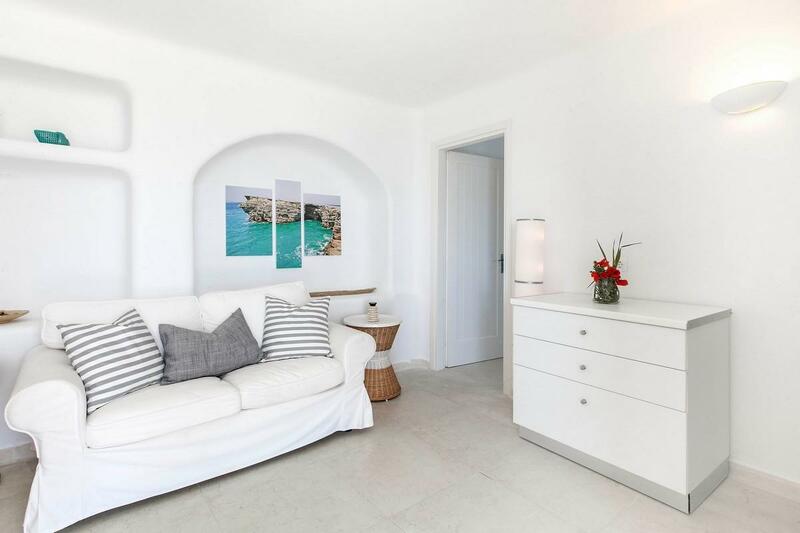 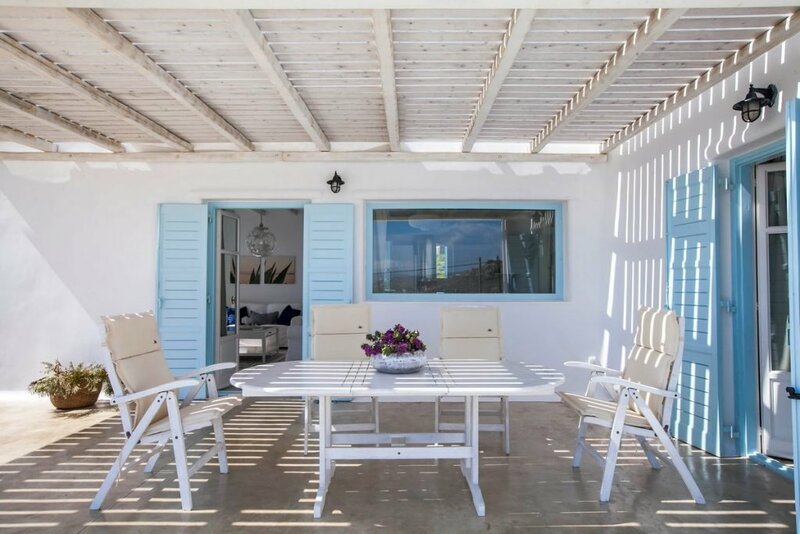 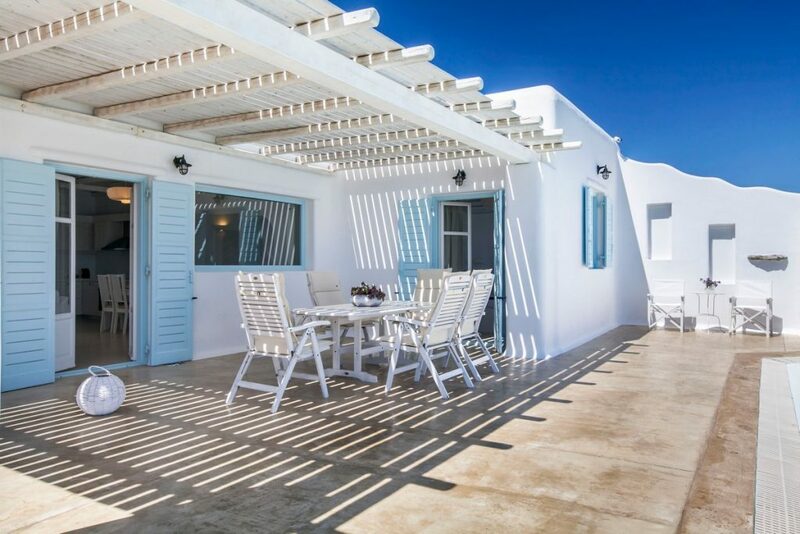 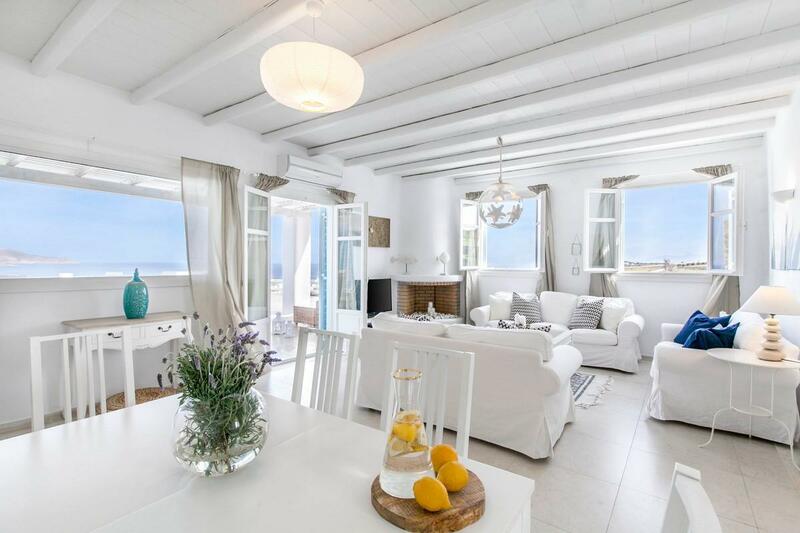 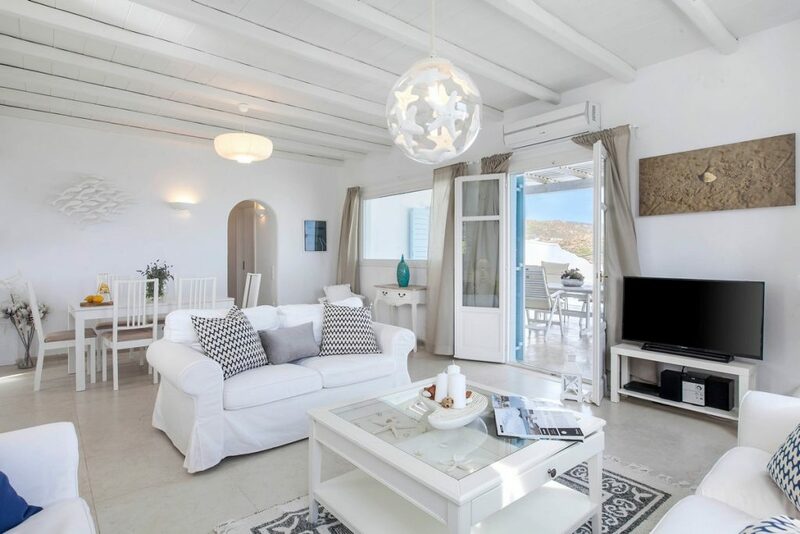 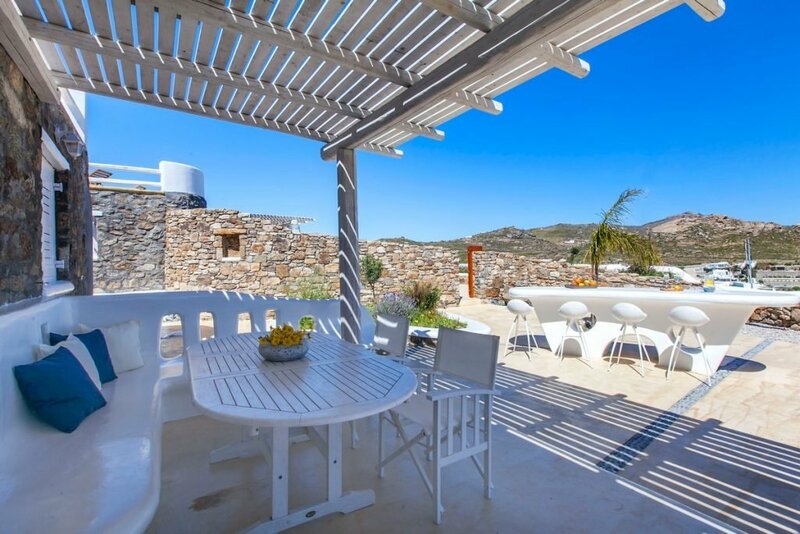 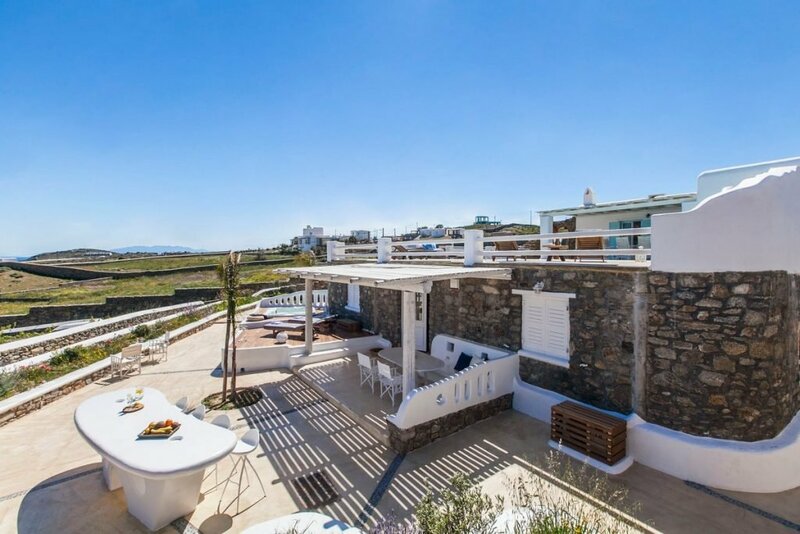 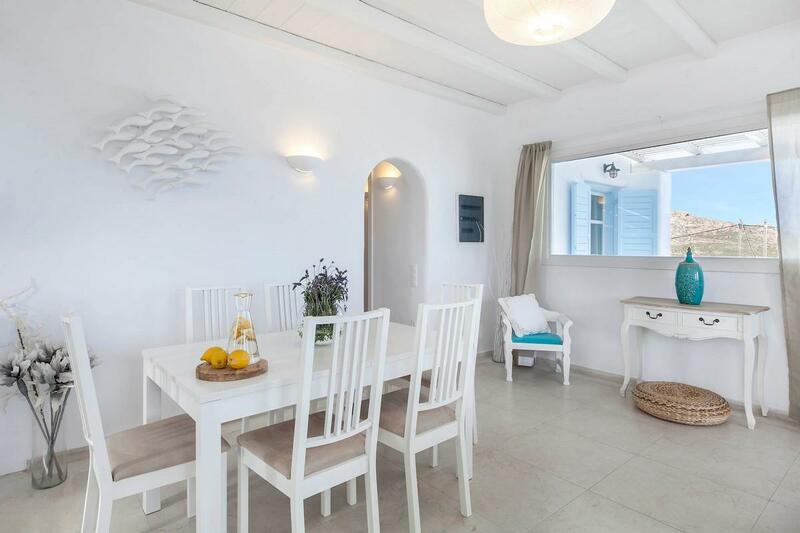 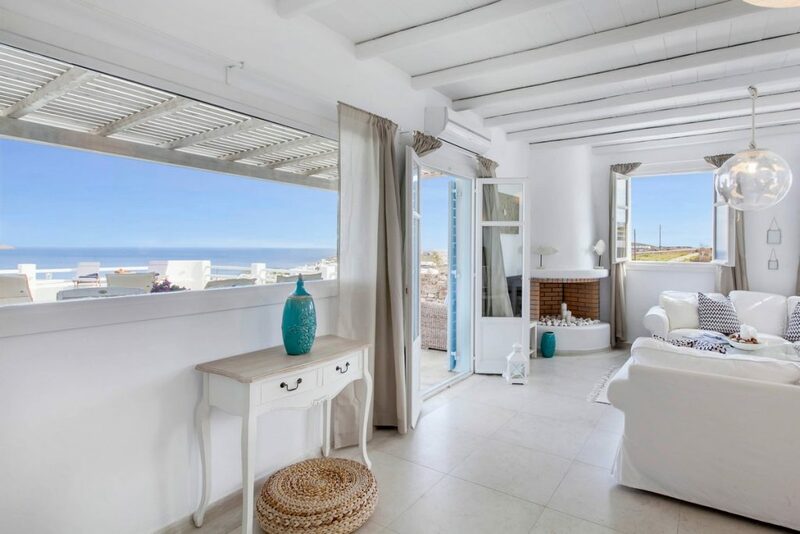 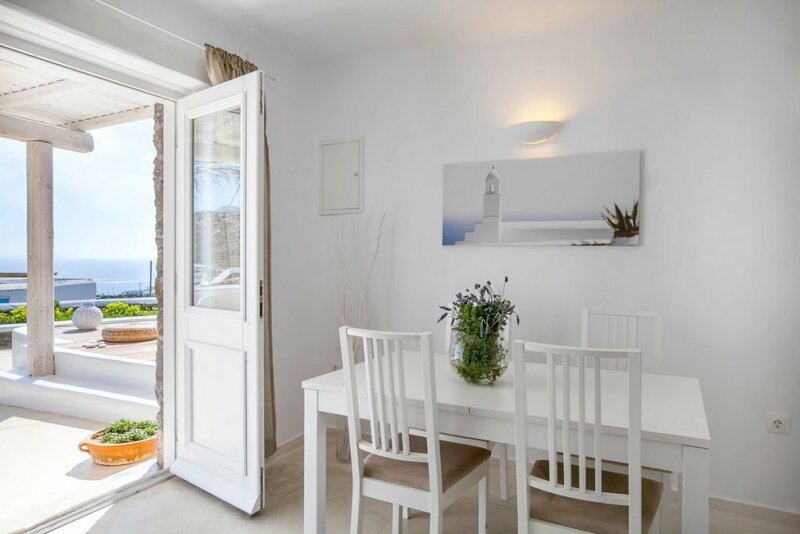 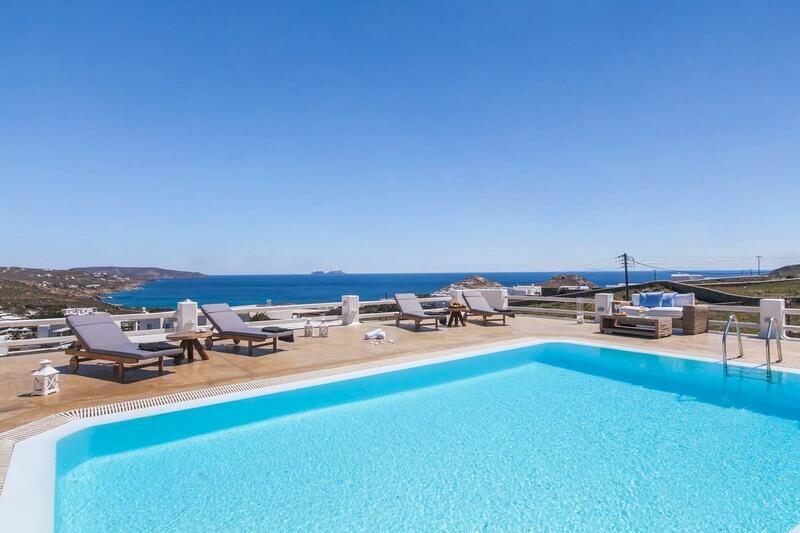 Villa Stella will accommodate 10 people very comfortably but can add on another 10 people in the case of larger groups thanks to the adjacent villa mykonos panoramic view. 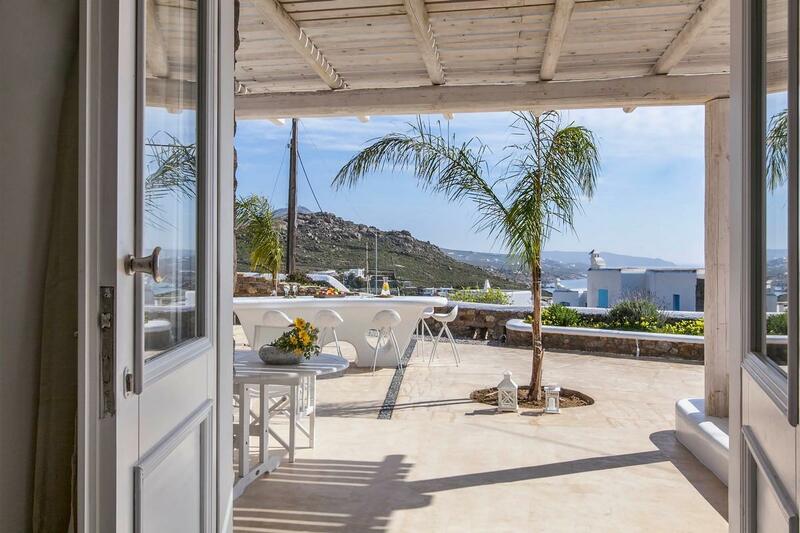 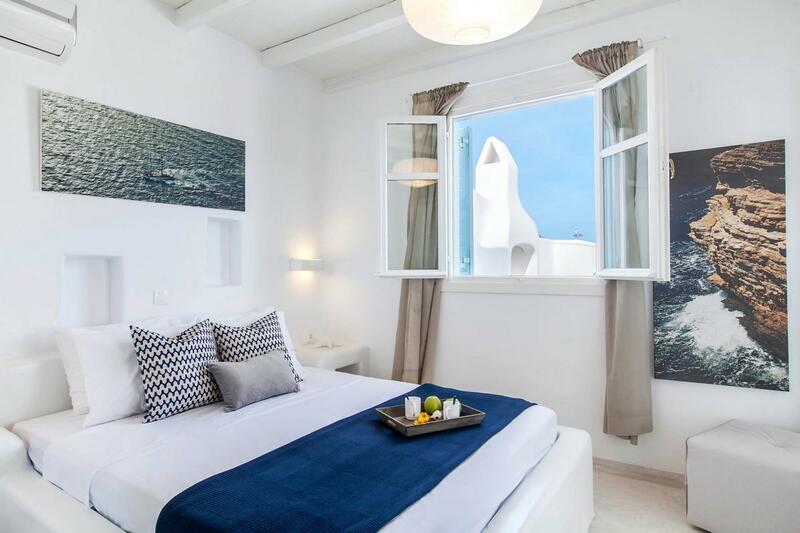 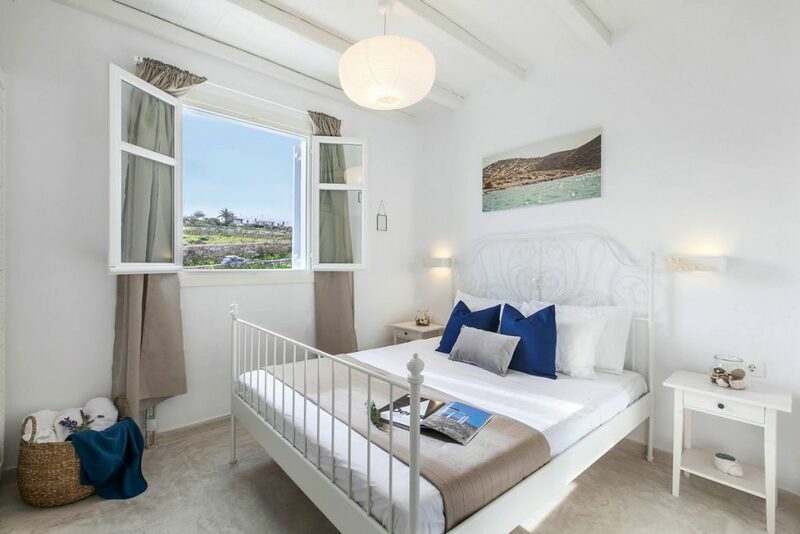 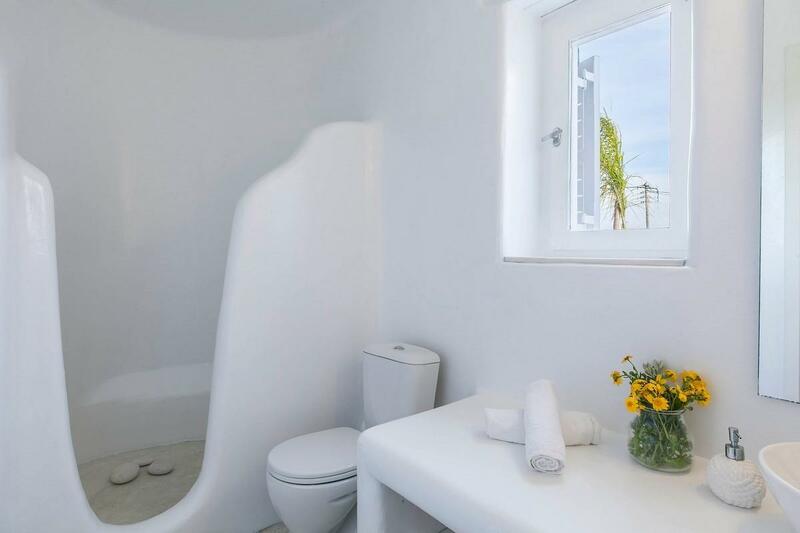 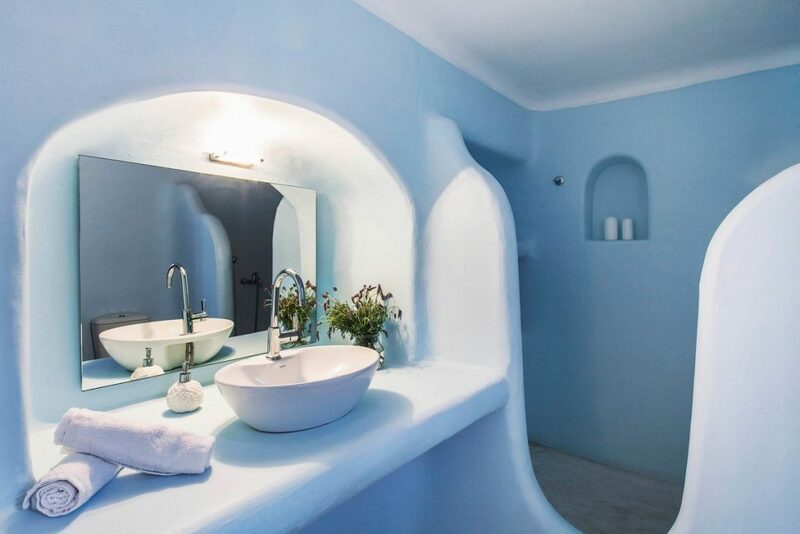 The making to a great vacation in Mykonos is but a few clicks away. The range and number of bedrooms is perfect for mixing and matching, be it couples, children or friends being roomies on vacation. 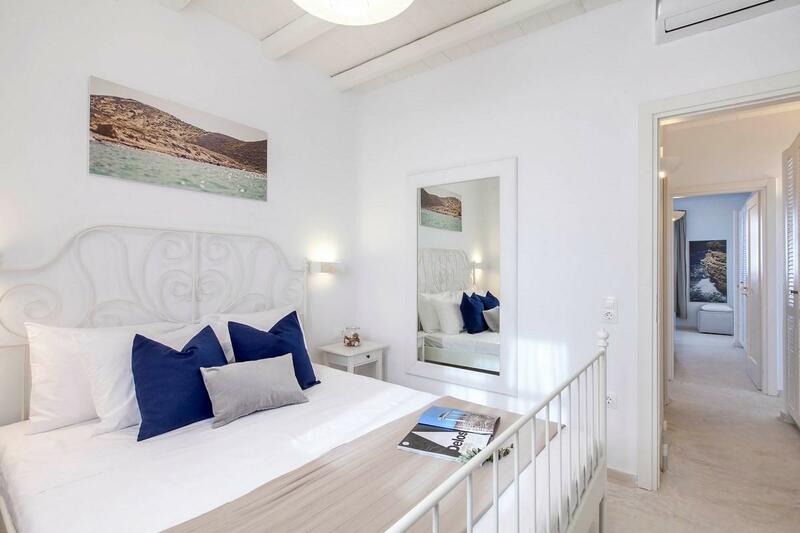 The ground floor includes two master bedrooms with en-suite bathrooms. 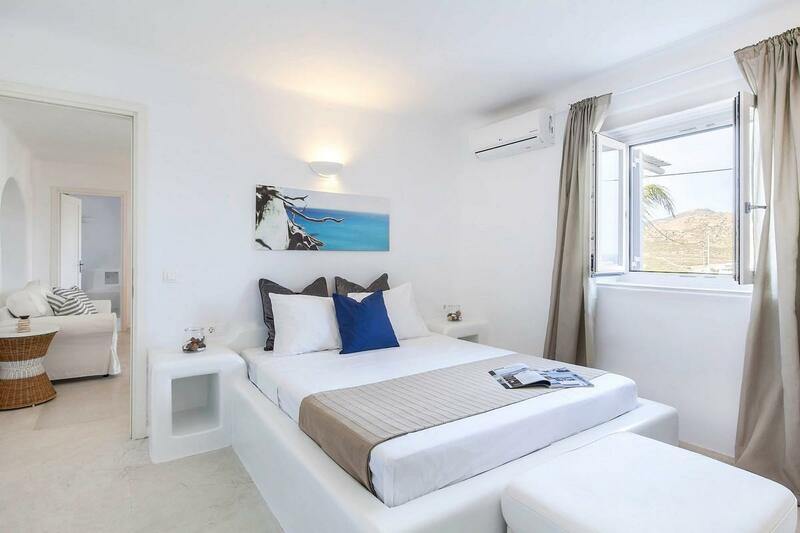 All master bedrooms come with king size beds. 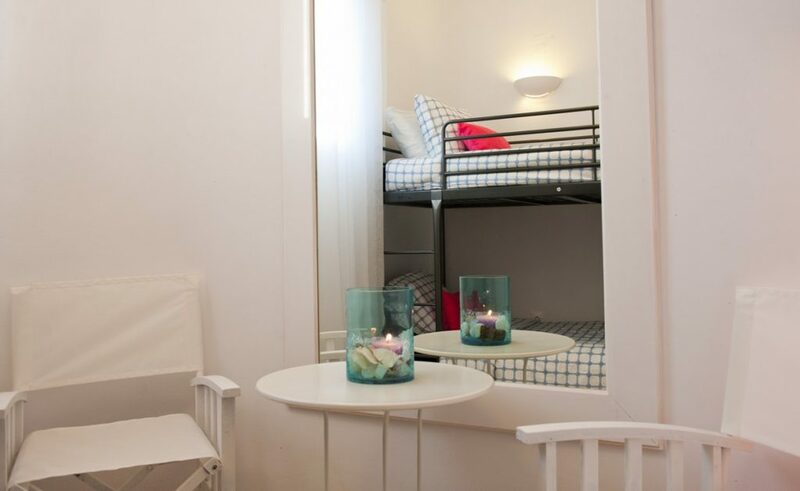 The upper level 2 more double king size bedrooms and 1 bunk bed bedroom with 2 bathrooms. 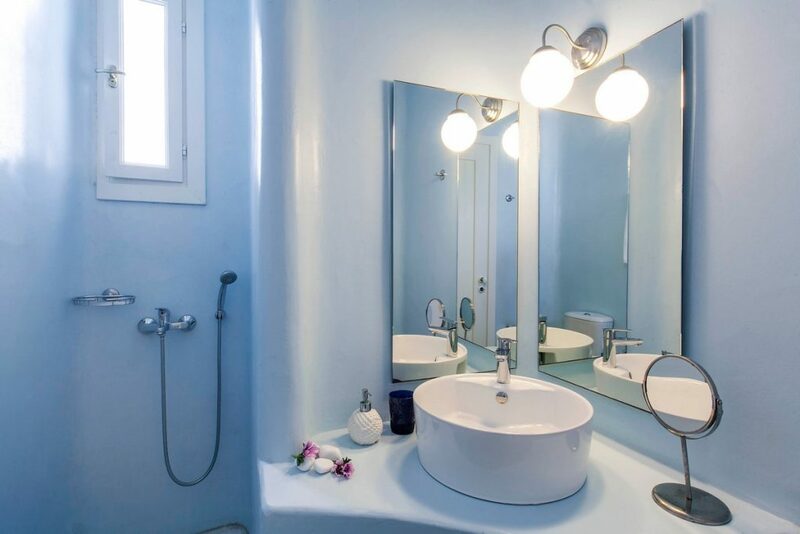 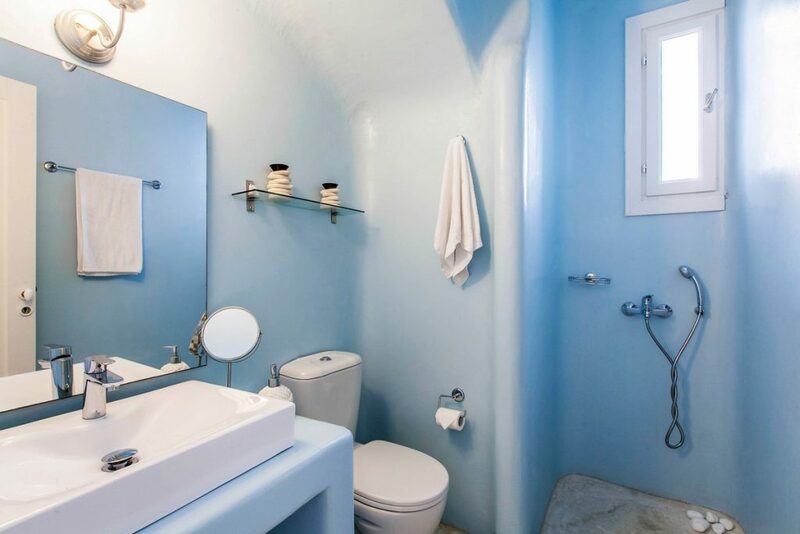 No line-ups for brushing teeth in the morning and lots of space for everybody to completely unwind. 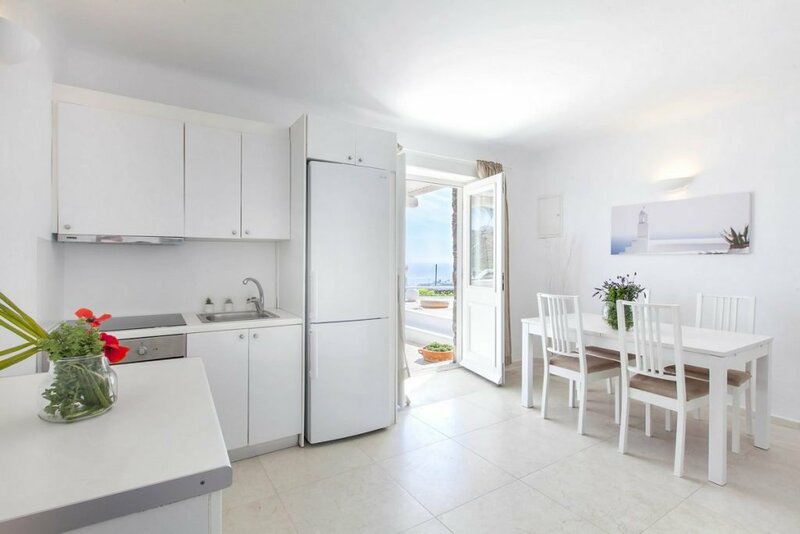 Villa Stella has air conditioning throughout, a fully equipped kitchen, as well as an indoor dining area. 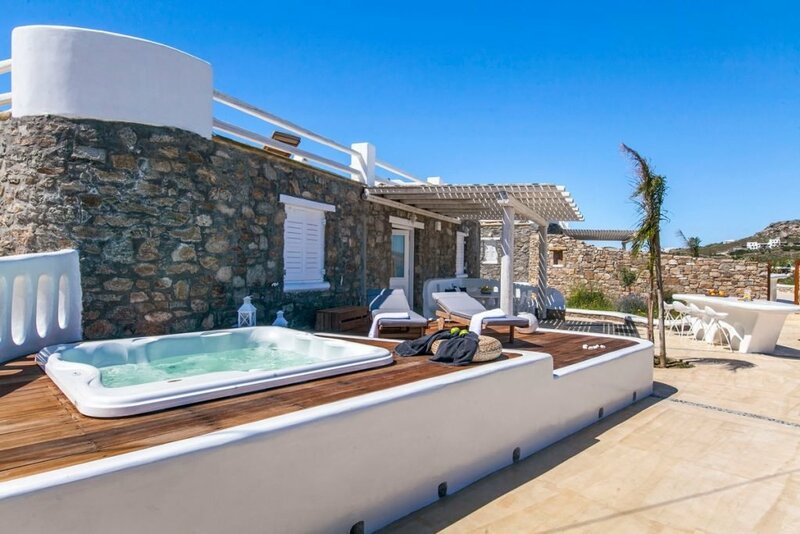 The exterior is stunning with its large pool, private Jacuzzi, lounge area with sunbeds as well as a shaded dining area. Blueground villas come equipped with BBQ and option to hire a private chef. 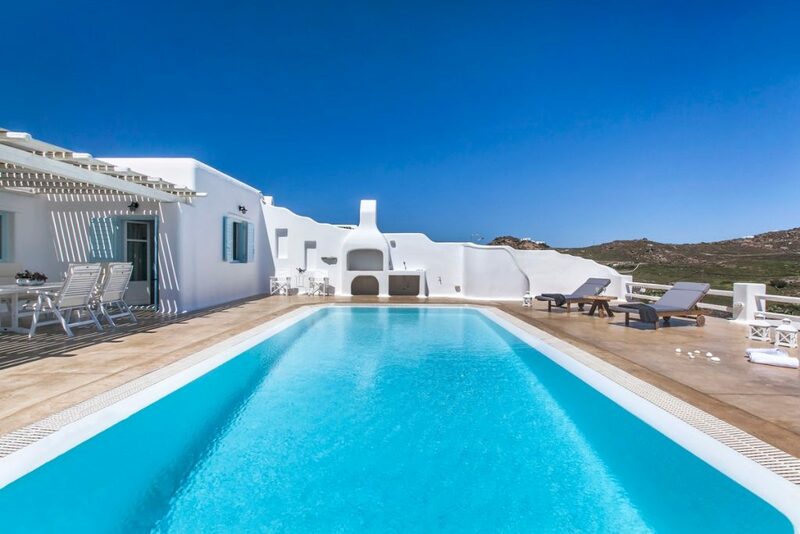 Other add on options include nanny services, transport to and from Mykonos airport which is 11km away and car rentals to name a few. 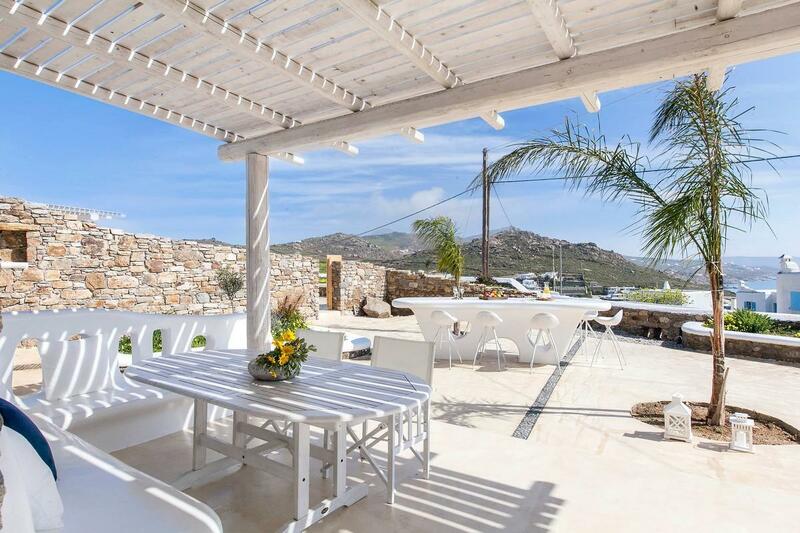 All in all, this villa has it all and it can certainly beautify your vacation to the maximum.